Greetings from Mullinax Ford West Palm's vehicle parts department. As the leading supplier of approved original equipment manufacturer (OEM) materials for Ford in Lake Park, we possess everything required to ensure your vehicle repair wraps up in no time. Taking the conversation to the next stage, developing a relationship with the Ford components experts found here at Mullinax Ford West Palm also means having access to the insight and background of a group of dedicated and vested industry experts at your disposal. Whether you could use a little guidance on the right component for the job or a little extra insight into how to get things into place, you can place your trust in the realization that the Mullinax Ford West Palm staff of parts specialists will be ready to support you through each phase of this process. Interested in learning more about why buying OEM components from Mullinax Ford West Palm is never a bad idea? Then now is a great time to take a closer look into the advantages of tying in your parts requirements with the knowledge provided by the customer-first group of specialists available in the Mullinax Ford West Palm parts department. In order to provide you with a complete overview of the OEM distinction, it is a good idea to first break down precisely what "OEM" stands for. Specifically, only parts made solely by Ford for Ford cars are worthy of claiming this status. Despite the fact that other aftermarket businesses might attempt to pawn off their alternatives as being of the same performance and reliability as official OEM parts, the fact of the matter is that only equipment sealed with the authorization of Ford has earned the right to this elevated standard. Designed Upon Ford's Demanding Performance Values – Ford OEM parts must undertake stringent testing and inspection before ending up in your car, so you know that quality and performance will never be an issue with these selections. Guaranteed to Handle Your Particular Repair Needs – While third-party manufacturers might allege to comprehend the inner functions of the Ford process, there is absolutely no way to ignore the reality that only qualified OEM parts from Ford are constructed exclusively with the specifications of your automobile in mind. Created By the Men and Women Who Constructed Your Ford Car – The same group of men and women that designed the blueprint for your current Ford vehicle also came up with the groundwork behind the certified OEM components offered here at Mullinax Ford West Palm, so it stands to reason it is absolutely a good call to buy components that come directly from this group of licensed Ford parts development gurus. Your Assurance Begins with a Great Warranty – Ford realizes confidence in their items goes a long way, so you can rest easy knowing OEM parts from this producer come with a customer-centric warranty that supports you and your car. The moral of the story here? Buying OEM parts directly from Mullinax Ford West Palm is the best way to guarantee the job gets done right without any hiccups. After going over all of the things that make OEM parts stand above their third-party competition, it is time to deal with the final query on your radar: Does Mullinax Ford West Palm have what I need to complete my repair? Simply put, the answer to this inquiry is most certainly yes! Make no mistake, when it comes to supplying the people of Lake Park and West Palm Beach with access to licensed Ford OEM parts, it is clear that Mullinax Ford West Palm's stock of Ford OEM parts is without peer. 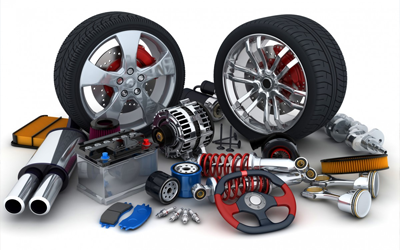 Now that you have gotten to this point, you are clearly ready to get the ball rolling toward a successful car repair and grab the required OEM part for the project at hand. To get you going with your best foot forward, you have a couple of options. To start, you can always drop by the parts department here at Mullinax Ford West Palm and have a member of our hardworking Ford parts staff work with you through the various aspects of this significant purchase. Should the item you require be available in our parts department's inventory, you will be able to take it home with you after your brief visit; for all other purchases, you can count on the Mullinax Ford West Palm parts team to submit your order to Ford and have the part delivered to you in the most expedient fashion available. Should you decide to do things digitally, take a moment to look over our quick and simple OEM parts order form located on this page. After you do this, a member of the trusted Ford OEM parts specialists team will give this request a comprehensive review and connect with you to ensure you acquire the right part as soon as possible. Thanks again for stopping by the Mullinax Ford West Palm parts web page, and we look forward to supplying you with access to the best collection of low-cost Ford OEM parts in the West Palm Beach area the next time you find yourself in need of a bit of assistance with an automotive restoration project.